A wonderful summer needs District. If you are a young girl, you can try District Juniors Varsity Tank. It is special designed. It weighs 4.8-ounce. And the material is 50/50 ring spun combed cotton/poly jersey knit body, 26 singles. It is longer length. 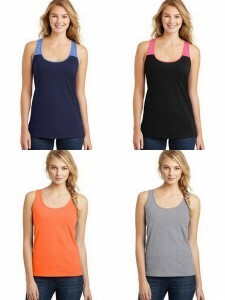 With its unique mixture of breathable fabrics, this racerback tank has instant appeal. Stand out from the crowd with our new District Juniors The Concert Tank. 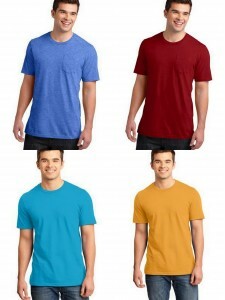 It is made of 100% soft spun cotton, keeping you comfortable and breathable all day long. 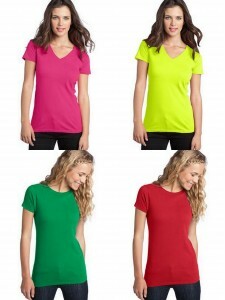 Neon colors are made of 50/50 soft cotton/poly. The tear-away tag design is made to satisfy you. Stay in effortless cool with this tank when summer comes with burning sun. Juniors are sure to like this tee since it has brilliant choice of both fabric and design. Go and be the focus on the street immediately with these tanks. District tee is just the one you are looking for if you need a comfortable tee when the sun is burning heavily. District Young Mens Very Important Tee with Pocket is a the one. A pocket makes the V.I.T. even more important. It weighs 4.3-ounce and there are some colors made of 100% ring spun combed cotton which is so breathable. It is 30 singles. The tear-away tag is convenient. If you do not like the pocket, you can buy District Young Mens Very Important Tee. Its material are 100% ring spun combed cotton and 50/50 ring spun combed cotton/poly (heathers). Our VIT is designed to make you look like a VIP. Buy one and the you can choose among the abundant colors. Dressing yourself up in style with this District Juniors Concert Tee V-Neck.It weighs 4.3-ounce. The materials are 100% cotton (colors),90/10 cotton/poly (heather) and 50/50 cotton/poly (neon). It is 30 singles. It owns the tear-away tag. Hit the street when summer comes for it’s high time show yourself up in this classic V-neck tee. District® Juniors Concert Tee is another option if you do not like the V-neck. 4.3-ounce is the weight. 100% cotton (colors),50/50 cotton/poly (neon colors) and 90/10 cotton/poly (Heather Grey) are the material. Tear-away tag will make you so convenient. Now, tell me what do you like best in the comments. Whatever you choose, it will perfectly put a smile on your face.